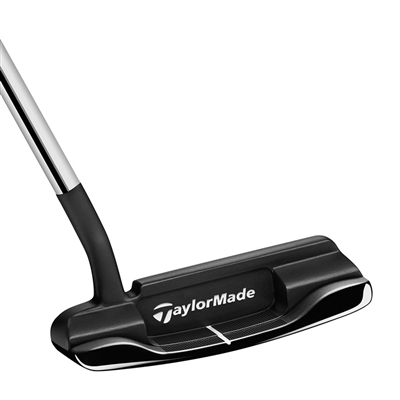 The TaylorMade Ghost Tour Black Indy Putter is available in 34 inch only. It's got CLASSIC TOUR VALIDATED SHAPES WITH DEEP MILLED and ALUMINUM INSERTS FOR PRECISE AUDITORY FEEDBACK. One of TaylorMade's four most popular classic styles finished in a rich dark glare resistant PVD coating. A new soft deep milled aluminum insert provides the sound and feel demanded by the games best players.